After an exciting two days in the ice, it was time to head south to our next sampling area at the mouth of Amundsen Gulf. 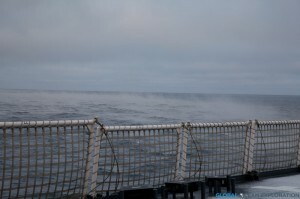 Half of our transit was in thick ice so the ship rattled and shook all night as we broke through the ice. There is nothing quite like being on an ice breaker as it is very loud as we go through the ice and as we hit larger pieces of ice, the hull rattles and sounds as if it is going to break. It is quite an experience and unlike anything else. 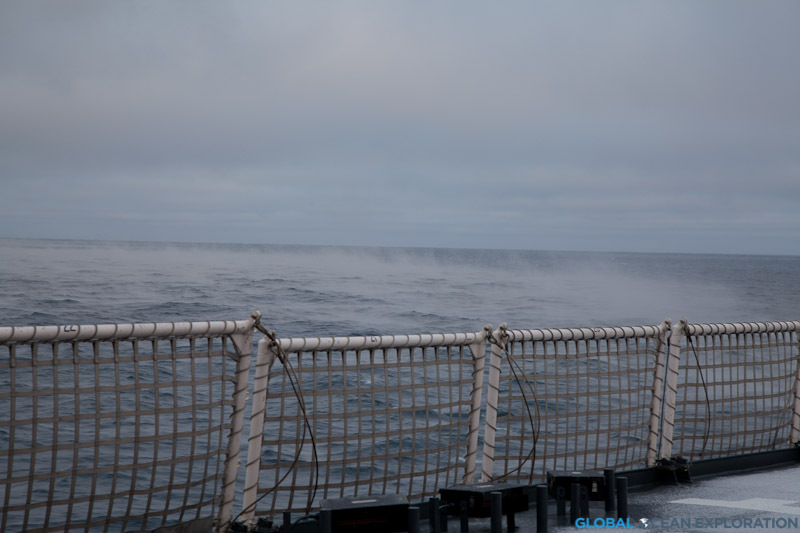 At around 3am, we hit open water and could then move faster towards our next stations about 240 nautical miles away. Like the previous two days, we are sampling at the mouth of one of the straits of the Northwest Passage. For centuries, explorers had looked for ways to navigate these waters to find a faster way to reach Asia for trade, although never successful in this mission due to ice blocking the passage. Much like these explorers of the past, we are looking for modes of passage to the Atlantic but instead of searching for trade routes, we are looking for the pathways with which Pacific water is entering the North Atlantic. During the summer, Pacific water takes a one-way journey to the Arctic Ocean through the Bering Strait and the question is: how does this Pacific water get to the Atlantic Ocean? 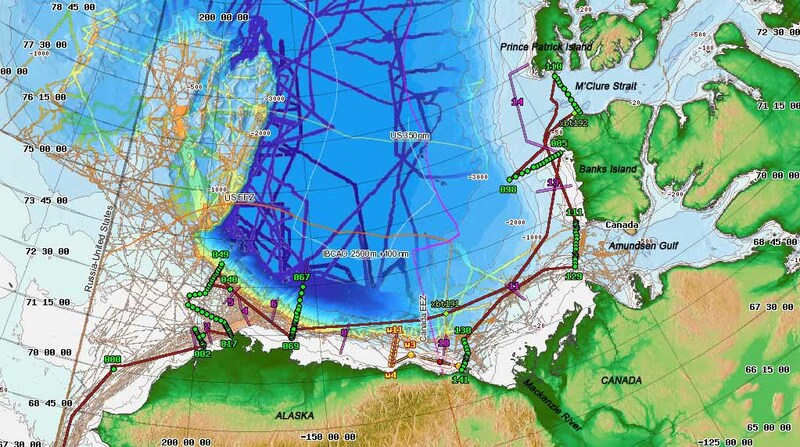 Does it find the long sought after pathway through the Northwest Passage or does it find another route? We are hoping that sampling in these two straits will reveal the answer to this mystery or at least add some insight into this complex system of water movement. One thing is certain, the global “conveyor belt” of ocean circulation is certainly more complex than we once thought.